Richard M LaBarge works with and against the world’s most important trademark owners on the toughest of issues. He began his trademark career by helping the Sara Lee Corporation defend its Sara Lee name against a company that had been using a similar name for 40 years. Later, he led the successful challenge to Harley Davidson’s attempt to register the ‘thumpa-thumpa’ sound of its motorcycles as a trademark. He also successfully defended one of the nation’s oldest surviving trademark registrations (a mark first used in 1861). Mr LaBarge has helped clients to register more than 1,000 trademarks in the United States alone. He is one of only a few attorneys who has proven that a single overall product colour has acquired the distinctiveness necessary for registration on the US Principal Register. He helped a client to register BARDOT as a trademark for clothing stores that were not affiliated with or endorsed by Brigitte Bardot; he guided the United States’ largest drugstore chain in registering the distinctive structural elements of its stores as trademarks; and he persuaded the US Patent and Trademark Office that the taste of apples could be registered as a trademark. Several clients have praised examples of his writing as the best they have seen. Several pharmaceutical companies entrust their work to him, as does Duracell, the owner of one of the world’s leading brands. In addition to his Martindale-Hubbell AV Peer Review Rating, he has been selected by the Law Bulletin Publishing Company’s Leading Lawyers division as a Leading Lawyer. 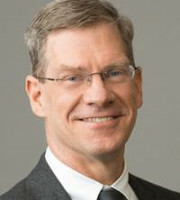 In 2013 he was selected as a Top Rated Lawyer in Intellectual Property by American Lawyer Media and Martindale-Hubbell. He was included in the 2018 The Best Lawyers in America list in the practice area of patent law. He has also been recognised in the WTR 1000 rankings since 2014. Mr LaBarge earned a JD from Wake Forest University School of Law in 1985 and a bachelor of science from the University of Illinois.